You will find us nestled in the beautiful rolling welsh hills, just outside the quaint little town of Montgomery. 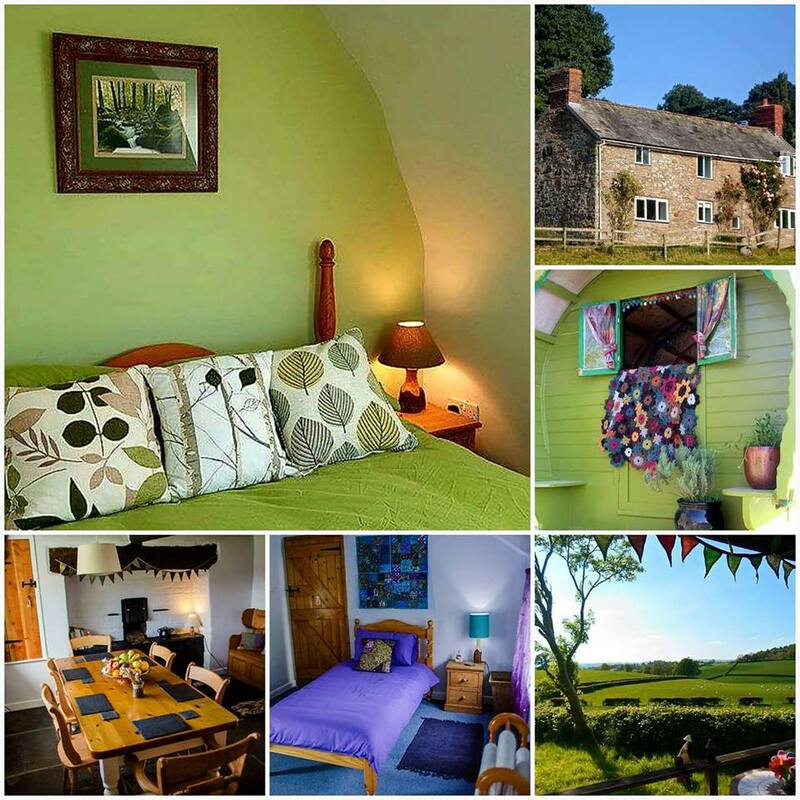 *Book the whole holiday cottage - You can book it for your own holiday, or as a creative break. * We provide beautiful eco conscious outdoor bedrooms and glamping in cabin, a pod and a charming gypsy caravan. 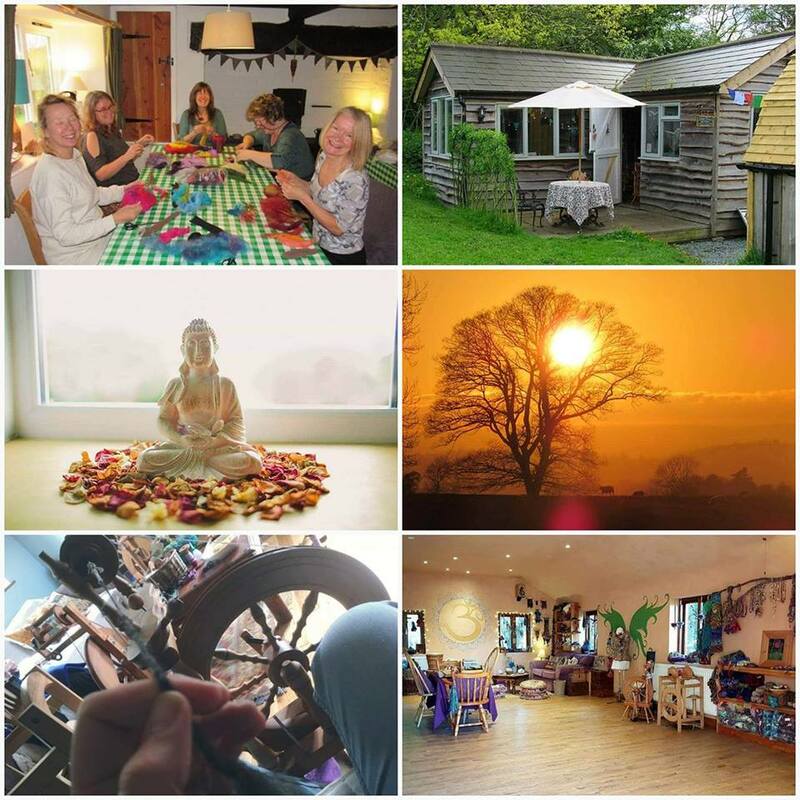 You can stay here as a visitor, or as a creative break. There is also an onsite infrared sauna available to book. * Lea teaches courses, craft holidays, one to one tuition & personal group tuition, of fiber art & crafts in the art studio here. You can choose from an inspiring collection of projects in felting, creative crochet, creative yarn spinning, wild knitting, weaving, & upcycling. * Local visitors and guests are welcome to browse our fiber arts gallery and open studio, we have a large display of our artisan crafts, gifts, jewellery, accessories, and fiber art supplies available to buy. Personal tuition can be booked for day visitors also. Please do join our mailing list for updates, competitions, offers & Adleuon Seren news.